Further to the lunchtime publication of the O’Higgins report into allegations made by Sgt Maurice McCabe – which was prompted by the Guerin report. I want to thank Mr Justice Kevin O’Higgins and his team for the manner in which the Commission’s investigation was conducted, their careful and thorough approach to establish the truth and to ensure the application of fair procedures. I welcome that the O’Higgins Commission, having conducted an independent sworn statutory Commission of Investigation, has concluded that, when Minister for Justice, I took “very seriously” the complaints and allegations of 23rd January 2012, made by Sgt Maurice McCabe through the Confidential Recipient and that there were “compelling considerations” which justified my response to them. (These are detailed in Para 13.123 & 124 of the Commission’s Report). Contrary to the Guerin Report’s assertion that I failed “to heed the voice” of Sgt McCabe, I also welcome that the O’Higgins Commission found that I had “very substantial concerns” about Sgt McCabes’ complaints and that at all times I dealt “professionally”, “promptly”, “reasonably” and “appropriately” with them. Moreover, contrary to the Guerin Report, the O’Higgins Commission also found that I was “intimately” aware of the relevant applicable legislation, as were officials in the Department of Justice. The O’Higgins Commission also rejects the contention of Sgt McCabe, given credence in the Guerin Report, that in my initially seeking a report from the Garda Commissioner on the serious allegations made by Sgt McCabe I was asking the Commissioner to “investigate himself”. The Commission concludes that my doing so was “an obvious, prudent and sensible thing to do” and had I “acted otherwise” I would have been “open to justified criticism”. I further welcome the conclusion that I “cannot be faulted” for “not taking further action” concerning a request for an inquiry, made in September 2012 by Sgt McCabe’s solicitors, “in circumstances where Sgt McCabe continued to assert a claim of confidentiality over relevant correspondence and enclosures”. The Commission acknowledges this prevented the obtaining of “observations” from the then Garda Commissioner “as a preliminary step before deciding whether to establish such an inquiry”. In fact, the Commission finds that my “personal input” in seeking to resolve this difficulty “displayed personal and active concern” on my part. I am relieved that the truth has been established and that the O’Higgins Commission “unreservedly” accepted my evidence that I never held views, opinions or attitudes “wrongly attributed” to me by Mr Oliver Connolly, the former Confidential Recipient and recorded and transcribed by Sgt McCabe. These got widespread currency and resulted in substantial controversy. The Report states that my evidence on this matter was “unchallenged and uncontradicted” in the hearing before the Commission. 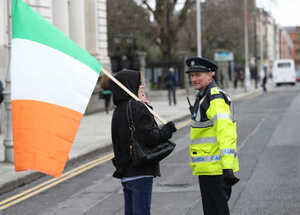 Both Sgt McCabe and Mr Connolly were present and legally represented at the relevant hearing. One of the matters of major concern was the alleged Garda failings preceding the appalling murder of the late Sylvia Roche Kelly in 2007. Charges made against me of ignoring the concerns of Sgt McCabe connected to this tragic event have now been independently established to be unfounded. The O’Higgins Commission acknowledges that I was aware that a complaint had been made by Mr Lorcan Roche Kelly to GSOC which was engaged in an independent investigation into what occurred. The Commission describes GSOC’s investigation as “thorough and necessarily lengthy” with certain aspects ongoing. It is very regrettable that Mr Roche Kelly, prior to my appointment as Minister for Justice, as the Commission finds, was “not well served by the fact that a considerable period of time elapsed” in GSOC deciding whether it or An Garda Siochana on its behalf should conduct the required investigation and due to some confusion within GSOC as to the relevant statutory provisions. 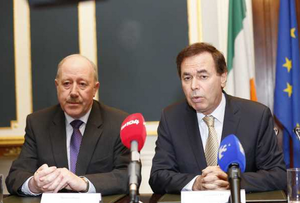 In short, the findings of the O’Higgins Report, like the earlier Cooke and Fennelly Reports, have unequivocally established that, when Minister for Justice, I dealt properly and truthfully with Garda related matters that gave rise to substantial controversy in the Spring of 2014 and many false allegations by opposition politicians, including Micheal Martin, the Fianna Fail leader of the opposition. The conclusions of the O’Higgins Commission totally contradict and are incompatible with the adverse findings made against me in the Guerin Report. The O’Higgins Commission rightly praises Sgt McCabe for highlighting deficiencies in investigations, failures in procedures and practices, and poor conditions in Bailiboro Garda station. It records that eleven, but not all of his complaints had previously been upheld by the internal Garda Byrne/McGinn Investigation concluded in 2010. Some of the complexity of dealing with issues raised by Sgt McCabe is derived from the fact, as found by the O’Higgins Commission, that he is “prone to exaggeration at times”. In this context, the Commission records that some of his complaints have been upheld by it whilst “others have proven to be overstated or exaggerated”. Some of a very serious nature were determined to be “without foundation” or “any evidence” or “unreasonable”. A number of complaints of long duration were withdrawn during the course of the Commissions’ hearings. The Commission found “there was not a scintilla of evidence” for his “hurtful” allegations that former Garda Commissioner, Martin Callinan, was guilty of corruption and arranged to have a Superintendent placed on a promotion list, this being the primary complaint received by me as Minister on 23rd January 2012 which was at the foundation of allegations made by Michael Martin on the Dail plinth and later in the Dail Chamber in February 2014. What the Commission also described as “hurtful” allegations of corruption made against Asst Commissioner Byrne, Chief Superintendent Rooney and Superintendent Clancy and an implied allegation against Superintendant Cunningham were all also determined to be “unfounded”. Of course, these allegations of corruption should never have been made. Garda related events in which I was engaged, when Minister for Justice, which gave rise to substantial public controversy have now been examined by three different independent retired judges of our Superior Courts. They have irrefutably established that serious charges and accusations made against me, both inside and outside the Dail, were entirely untrue. For over two years, I have had to live with the public opprobrium, criticism and abuse they generated. I hope that with the publication of the O’Higgins Report, I can now move on to a new chapter. It is clear from the O’Higgins Report that the Garda failings indentified in it occurred well before my appointment as Minister for Justice, at a time when Micheal Martin was in Government. It is now for Micheal Martin to explain why, in February 2014, he chose to ignore that all of the matters detailed in Sgt McCabe’s letter of 23rd January 2012, save for the allegations of corruption against the Garda Commissioner, related to events that occurred in 2007/2008 when Fianna Fail was in Government, and why he chose, together with his Fianna Fail colleagues, to accuse me of “undermining the administration of Justice in the State” and to target me with a torrent of false allegations about my conduct as Minister for Justice. The truth has now been irrefutably established. Now that we are in the era of “new politics”, I hope that Michael Martin and all of my accusers, then in opposition, will now reflect on how they dealt with these matters and withdraw on the Dail record the false allegations they made. Before my resignation and in my resignation letter and also following publication of the Guerin Report in engagements with the Taoiseach and, later, on 19th June 2014, in the Dail Chamber, I disputed the approach of Mr Sean Guerin SC in the conduct of his Inquiry. Both in my engagements with the Taoiseach and in the Dail Chamber, I disputed his findings against me. My concerns were entirely ignored by the Taoiseach and my Dail contribution was not only ignored by all sides in the Dail Chamber, including the Minister for Justice, but also ridiculed and criticised by some commentators. The Guerin Report was laid before both Houses of the Oireachtas, its flawed conclusions and opinions were accepted in full by the Government and the Taoiseach put on the Dail record its adverse conclusions concerning my conduct as Minister for Justice. If the Government, as it must, accepts the O’Higgins Commission findings in full, the Taoiseach now has a duty to correct the Dail record. The Government also has a duty to ensure the now discredited adverse conclusions and opinions contained in the Guerin Report are acknowledged to be in error and corrected and that the Report is withdrawn from circulation in its present form. These are important issues of relevance to standards in public life, fair procedures and the importance of truth in politics. I will be writing to the Taoiseach on issues of relevance and importance following on from publication of the O’Higgins Report and seeking a substantive response. 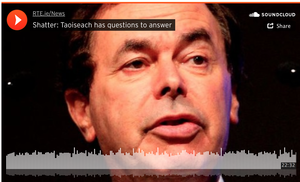 Posted in Misc and tagged Alan Shatter, O'Higgins Commission, response at 4:03 pm on May 11, 2016 by Broadsheet. Yeah. It’s not like his reputation was incorrectly torn to shreds in the state’s most public forum. Jeez! BS “populists” prefer knee-jerk reaction to plain old fact. Micheal, remember when he appeared on Primetime and disclosed personal information concerning Mick Wallace? You lads seem to think he fell on his sword over this alone…there were multiple other ineptitudes that were peeling off his nine lives. Expecting a substantial payout, most likely. You’re still guilty of sullying the Ministry for Justice Alan when you abused your position for personal gain. That’s yo legacy beeeeatch ! Sure focus on your property empire Alan. I am no fan of FG or Shatter but I do think that there some very powerful, well connected forces in Irish society who were very happy when Shatter got the boot. 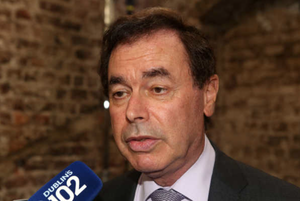 It was Shatter who was the main driver behind the Legal Services Bill that would have really reformed how solicitors and barristers operated in Ireland. Shatter goes and the bill gets kicked to touch, then subsequently watered down significantly before it’s enacted. His proposed legal reforms completely watered down. Ireland in 2016, go team. Alan “why say in 50 words what you can say in 500 words” Shatter. martco on Sure Where Would You Get It?